When it comes to must-see TV, most of us would probably think of HBO or Netflix before Amazon - and that's a situation that Amazon chief Jeff Bezos is keen to start changing, according to a weekend report in industry outlet Variety. In short, Bezos wants the next Game of Thrones-style super smash hit TV series to appear on an Amazon network rather than one owned by a rival company, and he's instructed his team of executives to start shifting their strategy to finding a small-screen success. Amazon Studios is now looking for "high-end drama series with global appeal", according to Variety, TV shows that are going to set social media buzzing and which will also translate well to international markets outside of the US and UK. 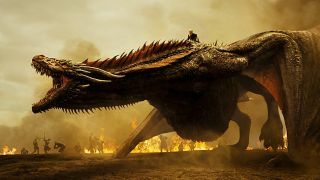 "It's pretty evident that it takes big shows to move the needle," Amazon Studios boss Roy Price told Variety, citing internal company data on viewer behavior and praising the most well-known fantasy epic of recent times. "I do think Game of Thrones is to TV as Jaws and Star Wars was to the movies of the 1970s." Amazon is looking to build on successes like The Man in the High Castle and The Grand Tour with programming that covers sci-fi, fantasy, crime and more, according to Price. Other shows have been cut to make room as Amazon looks for a big hit. Pilots recently greenlit include a crime drama focusing on the battle between Chinese gangs for control of the San Francisco underworld in the late 1800s, and an unnamed comic book adaptation being produced by Seth Rogen. Amazon says details on all its new shows will be revealed soon - and maybe there'll be a Game of Thrones hit among them.